The concept is simple. What gun do you always carry everywhere? That is your "always everywhere" gun. Whatever that gun may be for you, for me it has changed from time to time, depending on where I live and what I am doing. 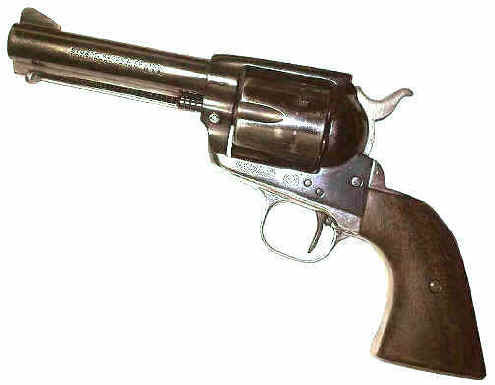 In the years that I spent in the West, especially those on horseback, it was a 7 1/2" Ruger Blackhawk in .45 Colt. Whenever I went someplace that was usually the gun that went along. Sure, I had other guns that I took from time to time depending on if it was hunting season or if I was doing something that I felt called for a different gun. But if I were to pick up one gun and head out the door it was usually the Ruger. When I moved to more civilized climes the requirements for an always everywhere gun changed. I still wanted a single action but it needed to be smaller. Something I could keep out of sight so as not to frighten the children and old ladies. Power requirements were not as stringent either. Sure, the .45 Colt can do a number of different jobs large or small, but to be honest about it, in short-range usage there are many other calibers that will work just fine also. One day a guy that owed me some money came by with a beat up Ruger 3-screw .357 and asked if I would take that on trade for what he owed me. The gun was rusty, beat up and missing some parts. I looked it over and since I have a soft place for the old model Rugers and the amount he owed me was not that much, I said sure. I put a new barrel on it courtesy John Taffin. Carl Laco sold me a nickel-plated XR3 gripframe and over the course of time the gun evolved into my always everywhere gun. I shortened the barrel to 4 1/2" and remodeled the top strap to resemble the Colt SAA top strap. To do this without welding the gun I simply cut through the sight slot of the Ruger rear sight and then once the top strap was ground and cut and filed to shape, I cut the rear notch into what was left of the sight body. 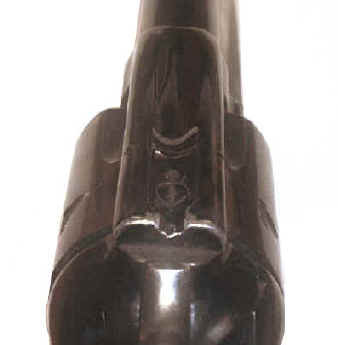 The front sight was made from a Freedom Arms sight, silver-soldered onto the barrel. It was sloped to the rear to facilitate a snag-free pulling the gun from a coat pocket. The rear of the ejector rod button was sloped to the front after I nearly pulled my underwear up to my ear when jerking the gun from the waistband while carrying it "Mexican style". The trigger was straightened as I prefer for an easy let-off. The grip panels are walnut, taken from a Colt SAA and donated by John Taffin for the project. All that had to be changed to make them work was moving the locating pin holes....one reason I like the XR3 gripframe. It feels just like my Colts. The gun is sighted to hit POA at 25 yards with 125 gr. +P JHP's. It worked out that my practice load of 3 gr. Bullseye with a 148 gr. HBWC hits almost the same place. The standard carry load is the aforementioned 125 gr. loads. These have proven accurate and have plenty of punch. I have used the gun on coyotes and out to 50 yards have made one-shot stops. Riding in a shoulder holster it makes a nice CCW gun. It is a little big to carry in the boot top though I have done that on occasion. It is much more comfortable in the shoulder holster, or tucked in the waistband or a coat pocket. 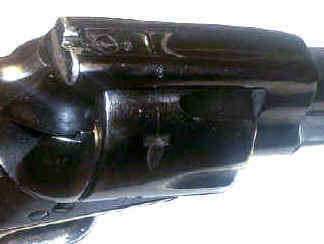 When the DIY part of the project was done I sent it to Milt Morrison at Qualite' Pistol & Revolver (www.qpr-inc.com). Milt cleaned up the rust finish (the cylinder had sort of an "orange peel" look) and reblued it. It sure looked nice when he sent it back. Now, years later, it has honest wear on the bluing, just like an always everywhere gun should.